"I'm hungry!" You've heard it from everyone in the family at some point. If your plants could talk, would they say the same? Feed your garden with the nutrients they need for more blooms, more color and larger, tastier harvests. This kit comes with Spray-N-Grow, packed with micronutrients and Bill's Perfect Fertilizer that's loaded with essential macronutrients. The result: a complete diet for for your vegetable and fruit plants, flowers, herbs, shrubs, trees, houseplants and even orchids. You also get a handy pistol sprayer and 32-ounce bottle to mix and apply the perfect plant potion. 8-oz. 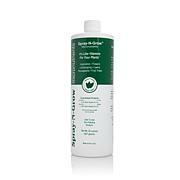 bottle make up to 16 gallons of spray - treat up to 16,000 sq. ft. Product is the absolute BEST... plants are growing fantastic even with the 100+ degree heat. Nothing works like spray N grow. Who has tomatoes in PA already? First day of summer and the cherry tomatoes are being picked! This product is awesome. Easy to use. Loaded with everything your plants need. Total no brainer = successful gardening. Everything flourishes. 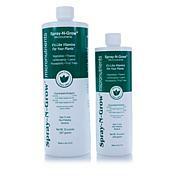 This kit is a great price for great products! I've used Spray-N-Grow before with results as the Company has stated, large beautiful healthy plants with exquisite flowers and vegetables. 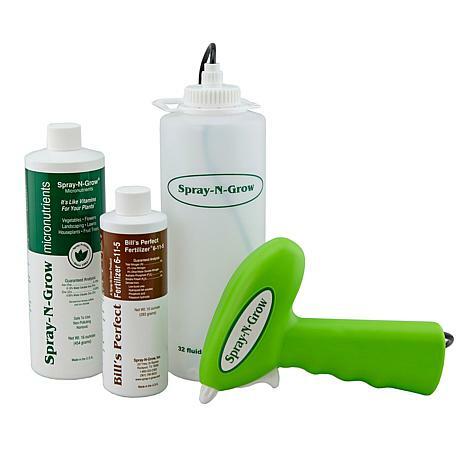 I ordered the kit to replenish my Spray-N-Grow and to have the battery operated sprayer. I'm hoping it relieves my fatigued hand/wrist from squeezing a spray bottle. That it did! The sprayer may not look like much but it did the job efficiently, fast and no fatigued hands/wrist. The nozzle adjusts from mist to stream with a spray lock; can move sprayer into any direction even upside down. All liquid is reached with none remaining in the bottom. it is the best! I did have difficulty opening the battery case. It didn't slide open easily. I gave that job to my husband! I fully recommend this kit....great price, great products! 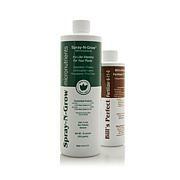 For years, gardeners across America have depended on Spray N Grow for non-toxic formulas that are safe for people, plants and pets. Spray N Grow is a foliar feeding micronutrient spray developed by company founder, chemist and avid gardener, Bill Muskopf. 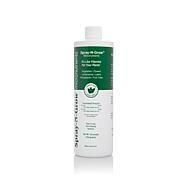 Make gardening easier and more productive with products that are proven to be effective. Anemopsis Californica is an excellent choice for planting in or around small ponds or water gardens as it prefers very wet soil or shallow water. It is a perennial herb, used in teas and other medicinal purposes. The stems root as they grow along the surface, forming an unusual, solid ground cover.